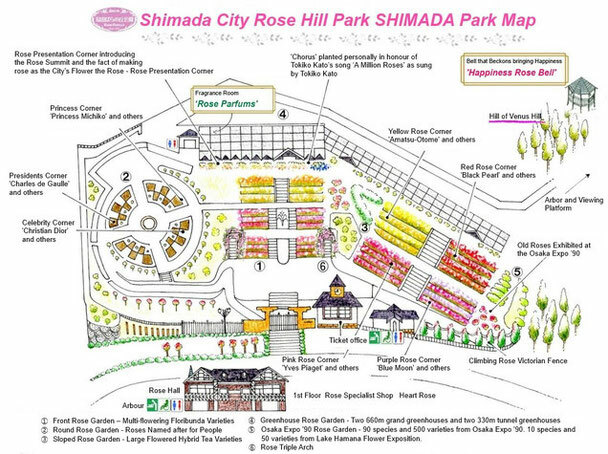 Rose Hill Park SHIMADA was opened in 1992 in Shimada City, a town where cut rose cultivation is extensive thrives. 1. Planted In the 9 hectares of grounds, are approximately 360 species and 8,700 varieties of roses from across the world are planted. You can also see roses created and named in Shimada and named for Shimada, including 'Miss Shimada’, etc. Within the garden, visitors are invited to enjoy an elegant time within the garden in the variety of rose gardens, as well as in the grand greenhouses and tunnel greenhouses. 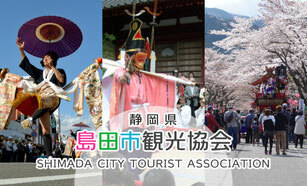 Festivals are held in the spring and autumn rose seasons. There is also a power spot within the park with featuring the relaxing effect of the fragrance of roses. Enjoy discovering all kinds of roses as you stroll around. *Groups are of 20 or more people. Children 6 and under are free of charge. ・ There are ramps within the park, so wheelchair users and those with push-chairs are can able to tour the gardens. Toilets are located adjacent to the central plaza. There are is also a separated location for men and women male and female facilities next to the greenhouse. Rose Hall is equipped with an elevator, so wheelchair-users and those with prams are invited to enjoy also able to use the 2nd floor restaurant. 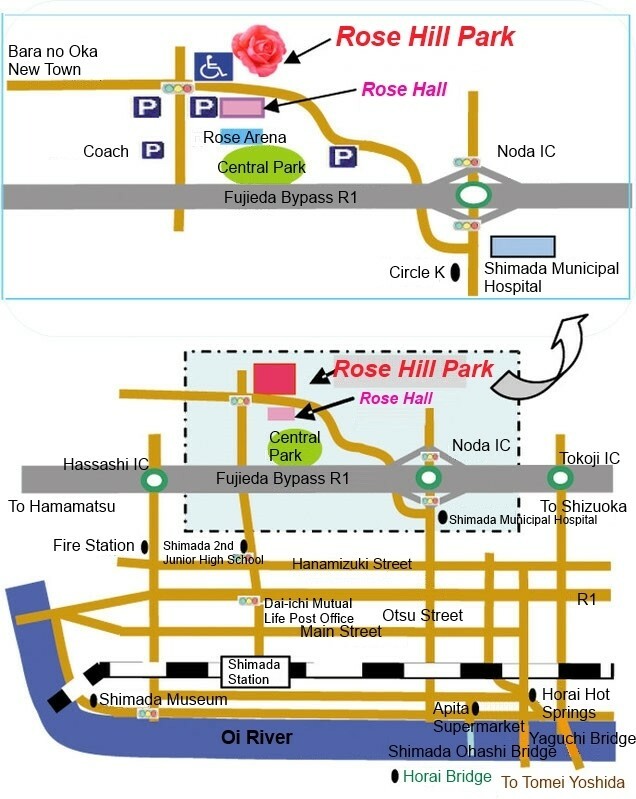 Pet companions are allowed to enter Shimada City Rose Park Hill SHIMADA, however we respectfully ask that you carry them or place them in carts or similar. It is not permitted to remove flowers or branches from the park. Your understanding and cooperation is would be much appreciated. At Yaizu IC take the Fujieda Bypass and drive for approx. At Fukuroi IC take the Fukuroi Bypass and drive for approx. At Fujieda Okabe IC take the Fujieda Bypass and drive for approx. 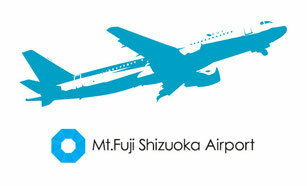 At Shimada Kanaya IC take the Fujieda Bypass and drive for approx. 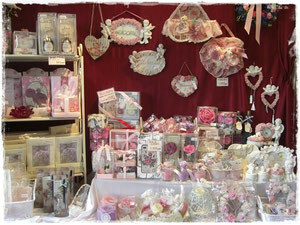 A multitude of rose products merchandise is stocked provided in the Heart Rose store. WiFi is available for use free of charge within the park.